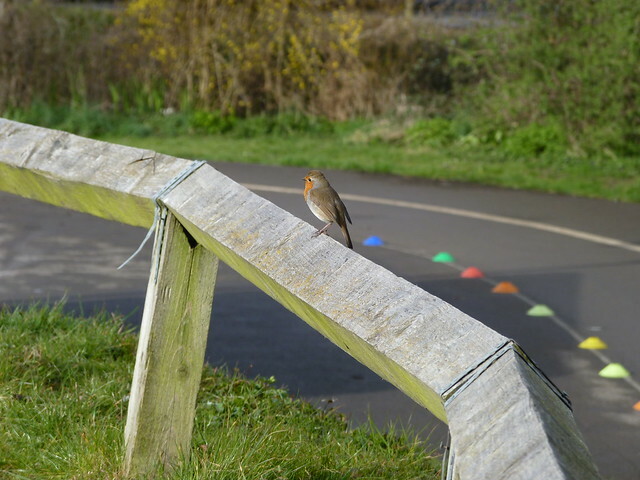 What a lovely parkrun we had on Saturday morning at Little Stoke park – there was a fantastic happy atmosphere tinged with a little sadness with the future of Little Stoke parkrun being decided by at the Parish Council meeting on Tuesday. The sun was shining and there was even a tiny bit of warmth in the sun at 9am! 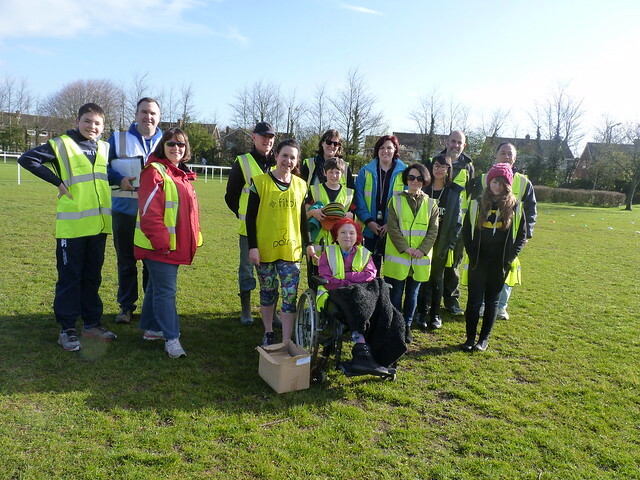 Thanks to the great team of volunteers, without volunteers parkrun wouldn’t happen. It was also lovely that Meryl Grimshaw (Event Director at Pomphrey Hill and one of the parkrun ambassadors for the local area) and Brian Gardener (from South Glos Council who have supported the setup of Little Stoke, Pomphrey Hill and Chipping Sodbury parkruns) both volunteered to show their support. 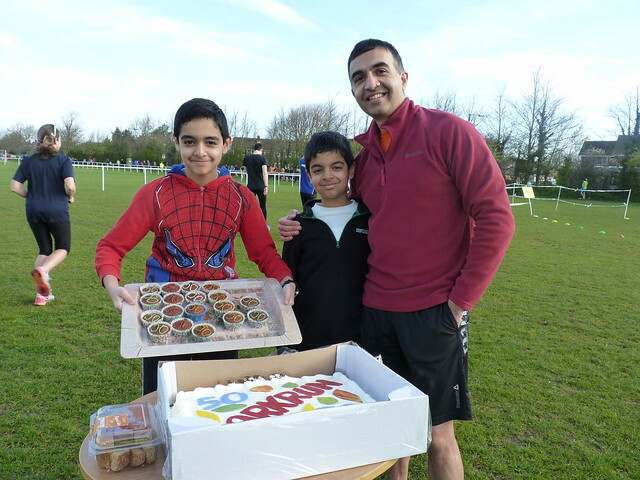 Well done to Waseem Ahmed on his 50th parkrun (and thanks for the lovely cake). Martin Dunne, Clare Jubb and Becky Bushnell (from Little Stoke parkrun core volunteer team). Results and stats are below but I think Saturday was all about the great community spirit that Little Stoke parkrun has. David BRUCE (SM30-34) of Oxford City AC, was first over the line in 16:40 - second time in 2 appearances. Maciej BIALOGONSKI (SM30-34) of Bristol and West AC, was second over the line in 16:42 - has been first to finish on 16 previous occasions. Adam WILSON (SM18-19) of Westbury Harriers, was third over the line in 16:43 - was first to finish once before. Maciej BIALOGONSKI (Bristol and West AC) 2695 pts. Michael HILL (Unattached) 2537 pts. John RIVERS (Unattached) 2152 pts. Jessica BRUCE (SW30-34) of Headington RRC, was first (18th overall) over the line in 19:45 - second time in 4 appearances. Rosey MUSHENS (VW50-54) of Bristol and West AC, was second (27th overall) over the line in 20:31 - has been first to finish on 9 previous occasions. Sarah Natasha EVERITT (VW45-49) of Bristol and West AC, was third (32nd overall) over the line in 20:43 - was first to finish once before. Rosey MUSHENS (Bristol and West AC) 2528 pts. Anna GILBERTSON (Unattached) 2516 pts. Anita DAVIES (Unattached) 2168 pts. Rosey MUSHENS (VW50-54) was graded 82.70% for the time 20:31 (27th overall). Sarah Natasha EVERITT (VW45-49) was graded 79.97% for the time 20:43 (32nd overall). Adam WILSON (SM18-19) was graded 79.76% for the time 16:43 (third overall). This week there were 334 runners, of whom 59 were first timers and 46 recorded new Personal Bests. Representatives of 35 different athletics clubs took part. 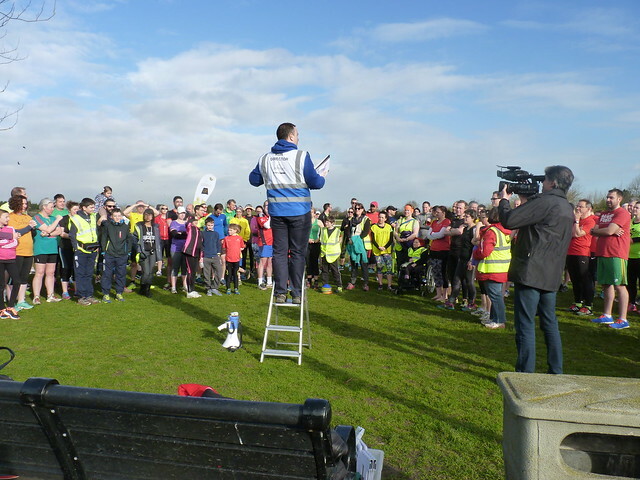 Little Stoke parkrun started on 3rd November 2012, and since then 5,462 different runners, including participants from 331 athletics clubs, have completed 31,634 runs covering a total distance of 158,170 km, and there have been 6,879 new Personal Bests. The female record is held by Charlotte Emily GREEN who ran in a time of 00:17:42 on 2015-05-23 (event number 127). The male record is held by Patrick MARTIN who ran in a time of 00:15:13 on 2015-11-28 (event number 153). The Age Grade course record is held by Ava DOUGLAS SMITH who recorded a 92.80% run (22:00) on 19th December 2015 (event number 156). 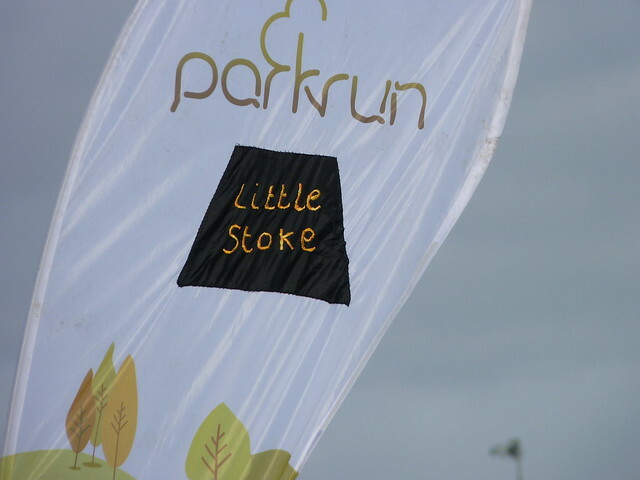 Full results and a complete event history can be found on the Little Stoke parkrun Results Page. This entry was posted in Run Reports by littlestokeoffice. Bookmark the permalink.